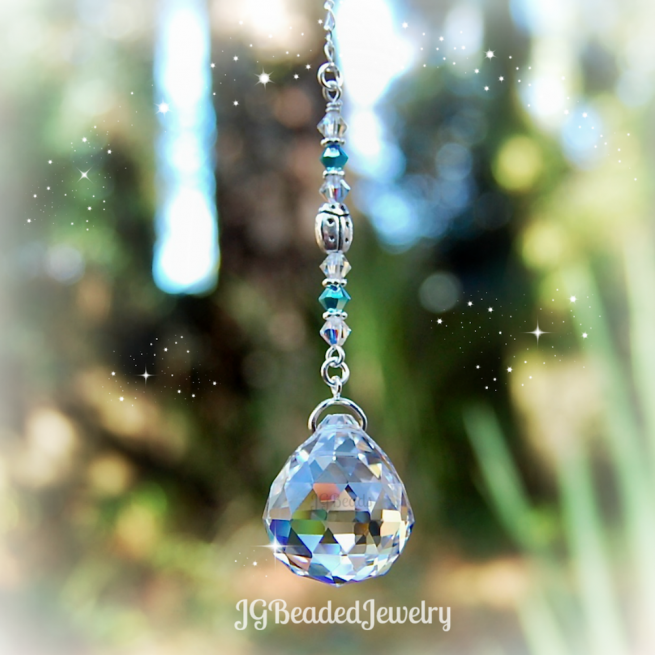 This turquoise blue ladybug suncatcher can be hung from the rearview mirror, in a window or wherever you choose! 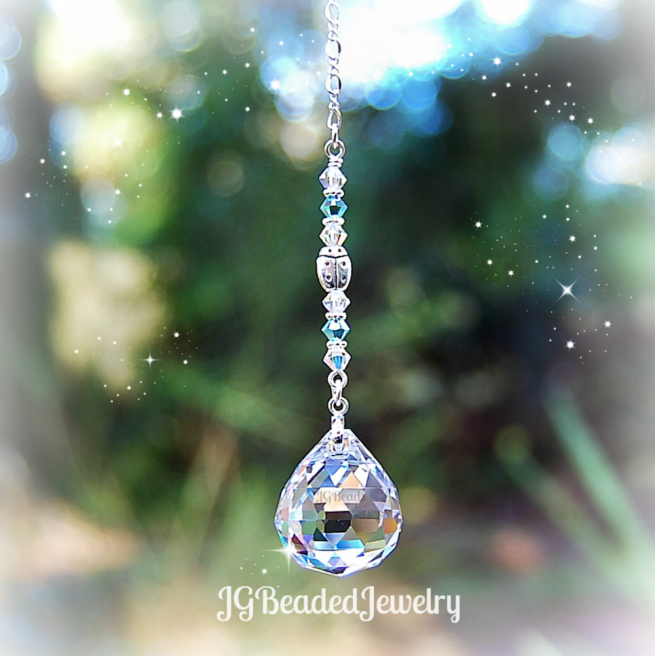 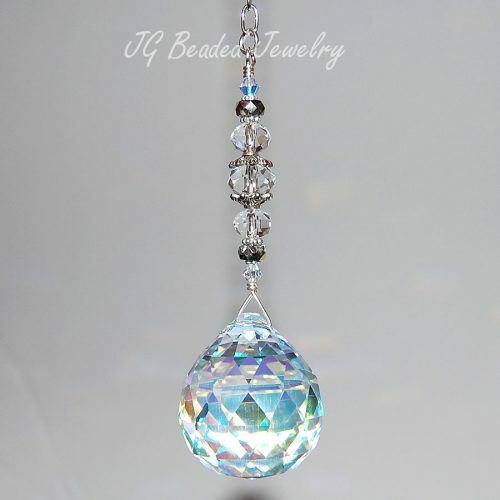 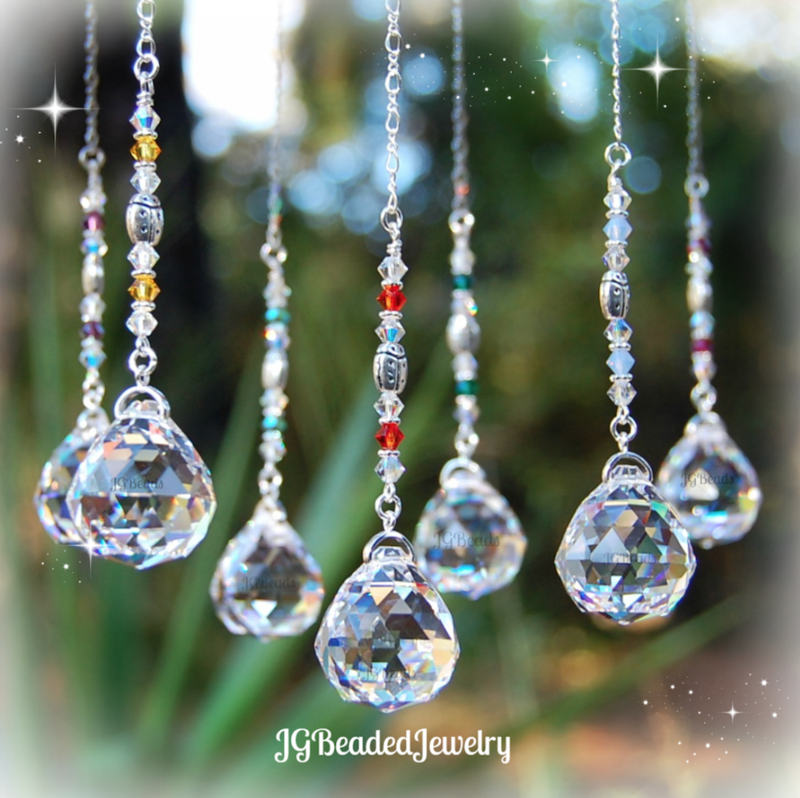 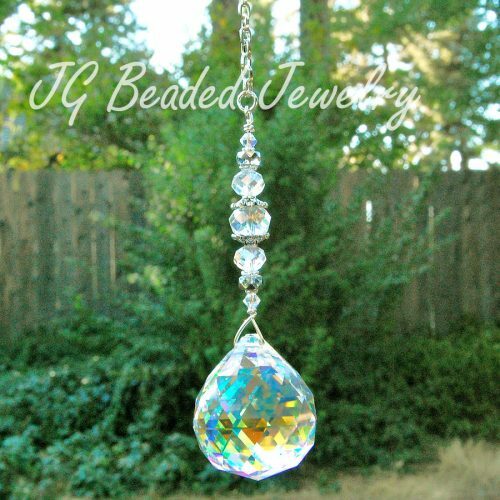 It is uniquely designed with a 20mm crystal ball, a silver ladybug metal bead, iridescent and turquoise blue Swarovski crystals, and fancy silver metal beads. 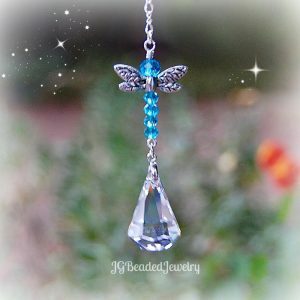 The ladybug represents good luck and when she appears, it is considered a good omen.